Show me the victims of insider trading. I’ll wait. “Galaxy-level stupidity.” That’s how a securities lawyer of my acquaintance characterized the alleged insider trading operation of Rep. Chris Collins, a Republican from New York’s 27th District. If the indictment is accurate, the fact that Collins allegedly phoned illegal tips from the White House lawn is not even the most surprising or interesting thing about this case. What would be truly wondrous is his thinking he could get away with it. If you are on a pharmaceutical company board and you tell your son to sell the firm’s stock because its new drug just failed in trials, there is basically a 100 percent chance that regulators are going to connect the dots. And if your son tells his fiancee and his future father-in-law, and said father-in-law then tells his brother and sister — well, the chances that someone close to you will be indicted are also good. 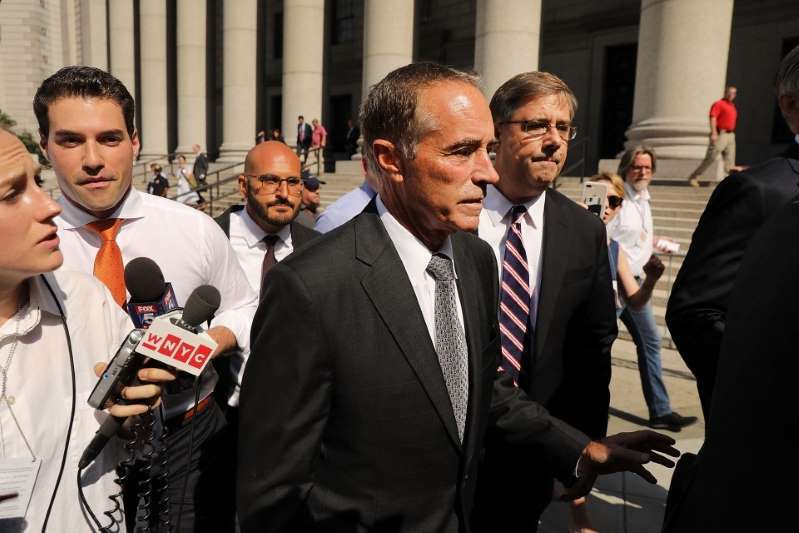 [post_ads]In this case, it was Collins, his son and the father of his son’s fiancee who were charged with wire fraud, securities fraud and conspiracy to commit securities fraud. All three pleaded not guilty, and Collins vowed not only to keep his seat but also to continue campaigning for reelection in November. Okay, what Collins is alleged to have done wasn’t too bright. But was it wrong? At some level, yes, it’s wrong because it’s illegal and you shouldn’t break the law. Except people break the law all the time when they think no one is being harmed, as when they speed on a deserted stretch of road or put money into the office pool during March Madness. Who was hurt by what Collins allegedly did? The answer might seem obvious: anyone who bought the stock that Collins’s son, Cameron, and others sold. But it’s not as if Cameron Collins went door to door persuading pensioners to buy his ticking-bomb shares. According to the indictment, he used a broker to sell the stock. The broker presumably sold that stock to people who already had an interest in buying it. Yes, Cameron Collins allegedly knew that the interest was misguided. It would have been selfless of him to hang on to the stock and bear the losses himself. But if he hadn’t sold, those interested buyers would have bought shares from someone else. And here’s the kicker: Since share prices tend to decrease as the supply of shares increases, the buyers might have actually paid a higher price if Cameron Collins’s weren’t on the market, and thereby would have lost more money. But maybe insider trading is bad for the market? Actually, insider trading probably makes markets more efficient. During the interval between the discovery of material nonpublic information and the publicizing of that information, the shares are being systematically mispriced through general ignorance. If insiders were trading, the shift in the supply of the stock would tend to push the price closer to a more realistic value. Critics contend that insider trading can reduce confidence in the market, making investors — particularly the ordinary mom-and-pop kind — reluctant to invest in publicly traded securities. The problem is, there isn’t much evidence that’s true. Investor confidence levels were just fine during periods in which insider trading seemed to be particularly rampant — too confident, possibly, since more than once those markets proceeded blithely onward into speculative bubbles. As that suggests, confidence in the markets is not exactly an unalloyed good. Insider trading scandals don’t appear to discourage ordinary investors from dabbling in stock trading, but something ought to, because amateurs who can’t read a balance sheet have no business buying individual stocks. If insider trading made them less likely to do so, that would be a point in its favor. Which leads us back to where we started: It’s surprisingly hard to pin down an actual harm from insider trading. And yet we have a stubborn intuition that it ought to be illegal because it just doesn’t seem fair. That’s a reasonable response: Insiders such as the sons of congressmen and board members should have to take the same losses as anyone else on speculative investments. There is no evident problem with confidence in the markets today, but there is an obvious problem with confidence in our institutions. That’s the harm of insider trading — and all sorts of other self-dealing, self-interested practices by networks of folks with cultural, economic or political power. Occupational licensing, building restrictions that make it impossible for disadvantaged families to gain access to better schools, professional networks and degree requirements that help “people like us” climb the ladder into the best jobs — all of these look, from the outside, like more insider trading. They’re also often defended by people who regard the allegations against Chris Collins with horror. By all means, condemn Collins; if he did what the government says, he deserves it. But take an honest look at the ways the institutions you belong to manage to hoard the best benefits for people like you. And ask if we don’t have a much bigger problem than insider trading. Possibly even one of galactic proportions. Politics - U.S. Daily News: Show me the victims of insider trading. I’ll wait.